In January, 1773, Captain James Cook and his crew became the first men to cross the Antarctic Circle. 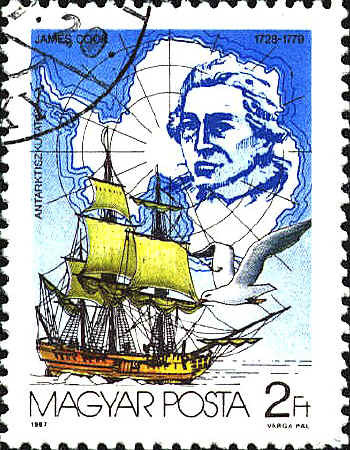 In January, 1775, on his third voyage, Cook sailed past South Georgia and discovered the South Sandwich Islands two weeks later. 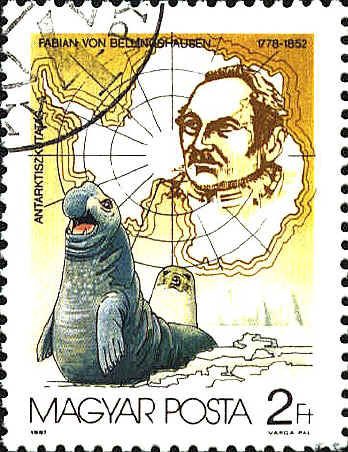 The Russian Fabian Gottlieb von Bellingshausen, was the first person to see the Antarctic continent, January 27, 1820. Nathanial Palmer, an American sealing captain and Edward Bransfield, a British naval officeralso have claims to being the first to see the continent.. Both Palmer and Bransfield mapped sections of the Antarctic peninsula. 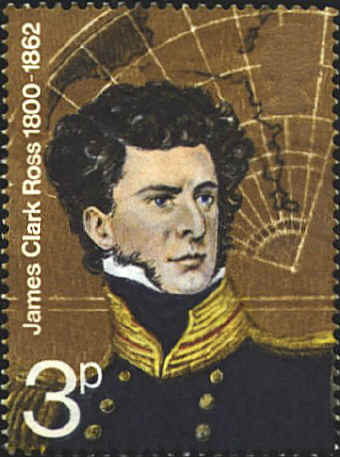 James Clark Ross (1800-1862) sailed from Hobart, Tasmania, November 12, 1840. In January he passed through the ice pack and entered the sea now called by his name. 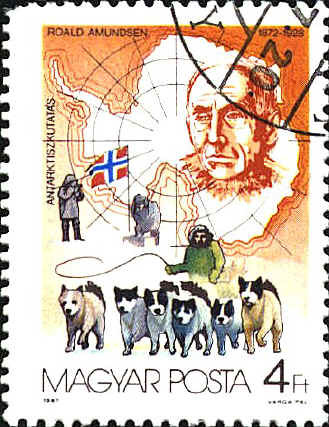 At latitude 100° 41´ S he sighted land 100 miles south, blocking the course he expected to follow in his search for the South Magnetic Pole. On January 28 he sighted the active volcano which he named Erebus after one of his ships. After reaching a position of 78° 4´ S he returned to Tasmania on April 4, 1841 to avoid becoming ice-bound. The House of Commons ordered the publication of his chart of the voyage on September 6, 1841. This chart was adapted for the background of the stamp honoring Ross. The entire course of his outbound voyage is shown, but only a part of the return route. Roald Amundsen, a Norwegian, and four team members reached the South Pole on December 14, 1911. They discovered a new route which took only 57 days.